It can be tricky to come up with unique, usefull, and fun hockey drills to use in a summer session where you only have a couple of players. 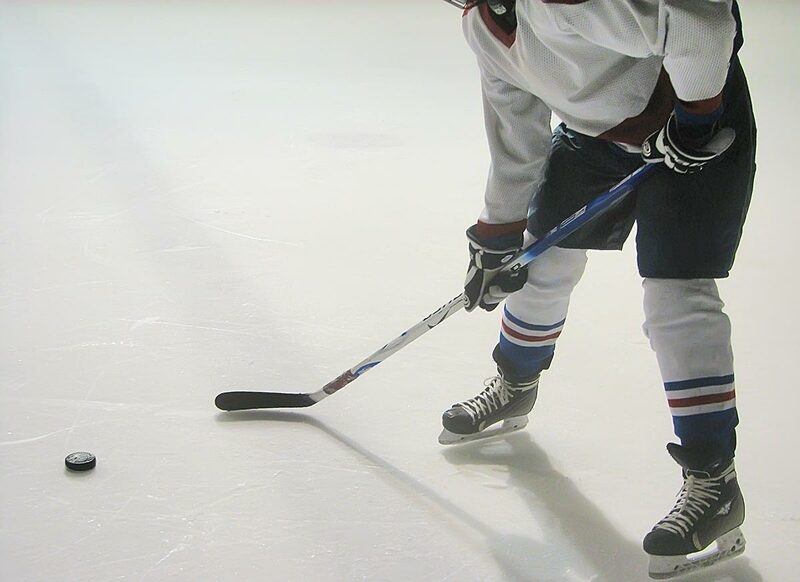 These are hockey drills you can pass along to players to do at stick and puck as well. Two people are required for each one of these hockey drills because of they all incorporate lots of passing. The diagrams for each hockey drill are at the end of this post. This hockey drill is similar to the Swedish Shooting Drill but modified so that you only need two players. The player starts in the corner without the puck and takes three hard strides forward and transitions backwards. The coach or second player gives them a pass and the receiving player gives it right back to the stationary player. The two players make as many passes back and forth. Once the player is out past the cone they control the puck and transition forwards into the slot for a shot. The player then skates up around the cone and repeats the same passing with the stationary player. In the next repetition the player fakes a shot between the first set of cones and then shoots between the second and third cone. On the third repetition the player fakes a shot between both sets of cones and then walks around the third cone for a shot. Set up two cones in the high slot about 20 feet apart. The active player starts outside the zone and the stationary player is just off to the side of the net with the puck. The active player skates full speed into the zone and transitions backwards around one of the cones and then forwards as they skate back into the slot. They skate in a figure eight and transition around the cones so they are always facing the stationary player. The entire time the two players are making as many passes as possible. Set a desired number of figure eights before the player shoots. The third hockey drill is geared more towards defensive players. This time the two cones are placed vertically. The active player does a number of figure eights while always facing the stationary player followed by a shot on net.